We all know that eating and drinking is quite different in Istanbul. You can find good, Japanese Cuisine, Kebap, and Turkish Traditional Cuisine. We made our list from the places we thought were the best in their field. We recommend you to make a reservation. Cecconi's is a modern classical Italian restaurant of Venetian origin. 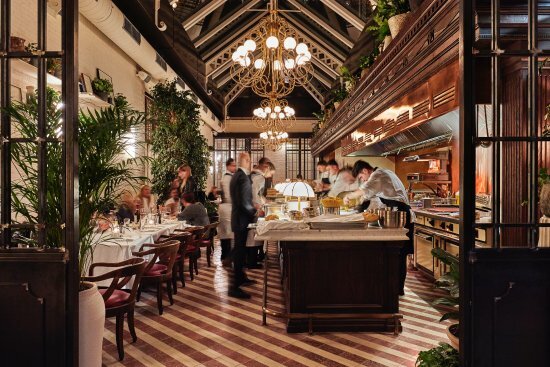 The restaurant, which is located in Soho House, has branches in West Hollywood, Miami Beach, Brooklyn, Berlin, Barcelona. First of all we would like to mention that Soho House serves in its place but you do not have to be a member to eat here. If you prefer an Italian restaurant in Istanbul that offers good quality and good food, Cecconi's will make you happy. The menu prepared by Alessio Biangini is really incredible, minimal and confident. If you are confused with the terms, ask for help immediately from the waitresses, they are very dominant and very good directors. Before you go to lunch, each turn will be a cocktail prepared especially for you, we would definitely recommend you to try these things if you want to be satisfied. The cocktails on the menu are very nice, favorite strawberry daiquiri is 45 TL. The menu, full of northern Italian dishes, starts with a Venetian tradition called 'cicchetti'. It continues with delicious beginnings. In the main meals there are pizza, salad, meat, fish and chicken options. In the best view of Istanbul bosphorus (if you want to taste the best views of the Bosphorus from here), we recommend Blue Mediterranean of course if you’re into tasting the Mediterranean cuisine. Since 1999, it has become a throat classic, serving on a historic Bosphorus lagoon. Navy blue welcomes its guests on their tables with their unique bosphorus views in the summer months on the terrace and in the winter months in the glazed lounges. The kitchen of the Blue is managed by Executive Chef Hussein Ceylan and from the first day, under the responsibility of his team. There is a unique menu that is fed from Mediterranean cuisine. The menu is mostly seafood, but there are also meat, chicken and duck options. 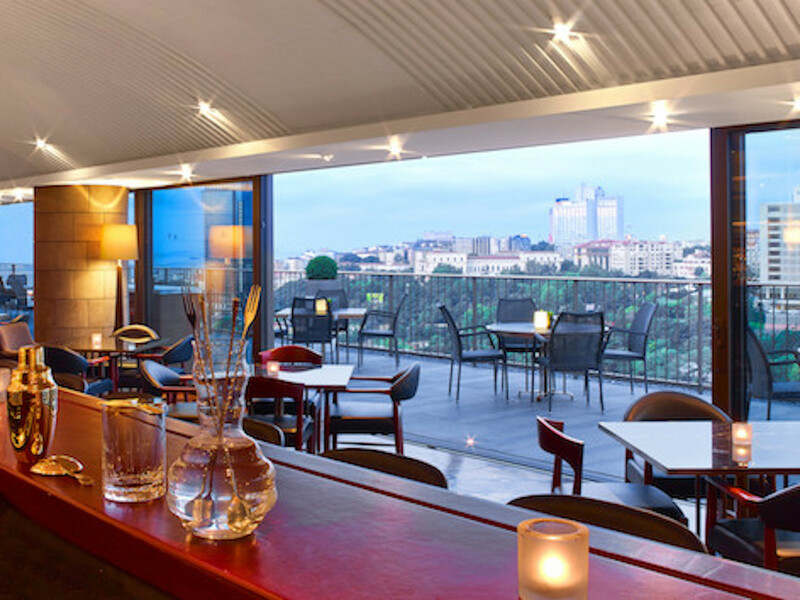 Before going to the restaurant's favorite delicacies we would like to mention that in fact Blue is one of the best places to have brunch in Istanbul with the best view. If you have the opportunity, we recommend you to do brunch with Blue Lady. First, seafood soup, warm ourselves. For the beginning, the galactic octopus and rocket salad from salads. The main course is the grilled minekop fish. If you like sesame butter as we do, we recommend you to try profiterole with sesame butter. It depends on what you eat and drink, of course, but on average you pay between 150-200TL. 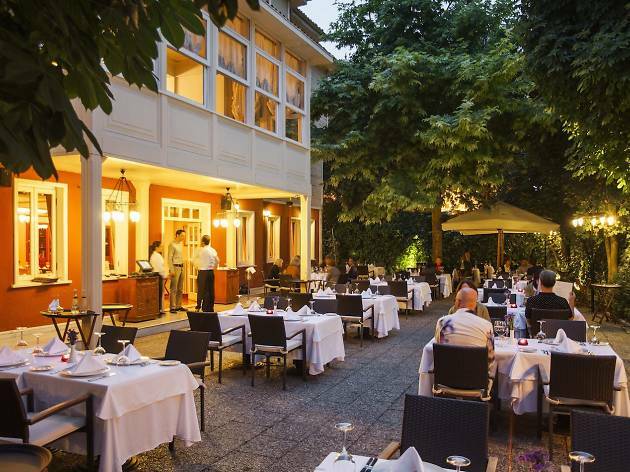 2 Michelin stars, world famous conductor Wolfgang Puck, Beverly Hills's iconic restaurant Spago in Istanbul. Spago's first international restaurant outside of the US, Spago Istanbul, Regis serves the hotel in a superb location. In recent years, the number of fine dining restaurants in Istanbul is rapidly increasing, and Spago is a "fine dining" restaurant, which is among the best restaurants in Istanbul. The Spago menu, prepared by Wolfgang Puck, interprets the freshest products of the season with a modern concept, making its guests a gastronomic journey. Inspired by American, Asian and Italian cuisines, the menu varies every season according to products found in local markets, including famous stone-baked pizzas, mezzanines, handmade pastas, rich entree options, as well as tastes from different cuisines. First we recommend you to order aperol spritz as an aperitif before you eat, if you like, they really do good for the boss. Beginning with the burrata salad and the Korean style grilled lamb ribs. From the main courses, slowly cooked rock next to the sea bass and heifer ribs. There is an option of water and rice, we prefer the cheek ribs. The chocolate souffle is excellent from the desserts. I repeat it depends on what you eat and drink, but the average person is between 150-200 TL. Inari Omakase, one of the best of Japanese Cuisine, has been serving in Kuruçeşme, Istanbul for 4 years with its renewed decoration. Inari, you can find much more with your specials; It presents the unique flavors of the Far East to you. Barlas Günebak prepared in the accompaniment, attracting attention with its assertive tastes and presentation; you do not eat anywhere in the world on the menu, just the flavors you can find in Inari. If you have difficulty making selections on the menu, you can easily leave the selection to the chef. If you have once enjoyed Sushi, there's no way you're not a regular. With different cocktails and live DJ performance each day of the week, you can continue to enjoy your time after the meal. From the hot start, Corn Kakiage costs 28 TL. The Kirohana roll price is 36 TL, the Fuji roll price is 36 TL, and the spicy shake roll price is 26 TL. Next to the Japanese, Sapporo is going well. Among Istanbul's best restaurants, Adana Ocakbasi in Kurtuluş is definitely the right address for a real Adana kebab meal. Kurtuluş Doğan Usta, the master of Adana Ocakbaşı who has not changed since the first day, expresses that the secret of kebab is the learning of the taste habits of the regulars. The meat called 'Gönen' has been presented to its guests for years with the same menu. Next to the kebab is a grilled eggplant, cacık and yoghurt aubergine salad. Applicants can also find aches such as spleen and liver. 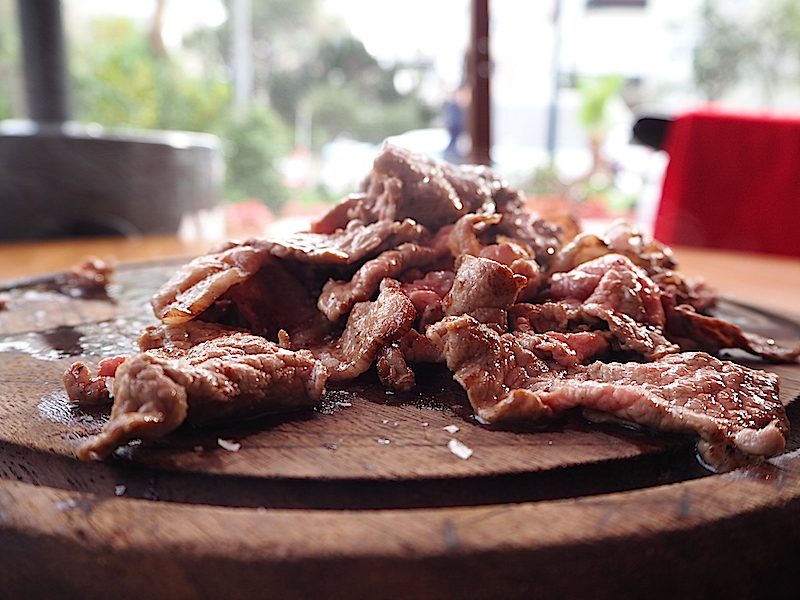 All of the menu are favorable, but if you like, definitely enjoy the liver. With cold drinks, average per person 100-150 TL. Serving in Pera, one of the most beautiful places of Istanbul, Aheste interprets and serves the traditional Turkish Cuisine tastes in a modern way. They attach great importance to the use of the materials used in the meals and to the production in the season. So everything you eat is very delicious. The owner of the place, Sara Tabrizi, equips her with Turkish, Iranian, Ottoman, Armenian and Greek culture. There are two types of menus, day and evening. On the day menu there is breakfast, which includes tents, muffins, granols and biscuits. In the evening there are 10 hot, 6 cold graves. 4 main meals. By the way, you are in a modern tavern now, but the breakfasts are incredibly delicious and you must go and see it once. We prefer tasting menu, which is ideal for a crowded group. You can taste everything. Price without alcohol is 100 TL per person. We wish you to have a pleasant meal that you will eat by steaming, steeping, giving the right of the name of Aheste. And, let's make it clear that, you can eat the appetizers as much as you want and when you leave the place you’re definitely full. 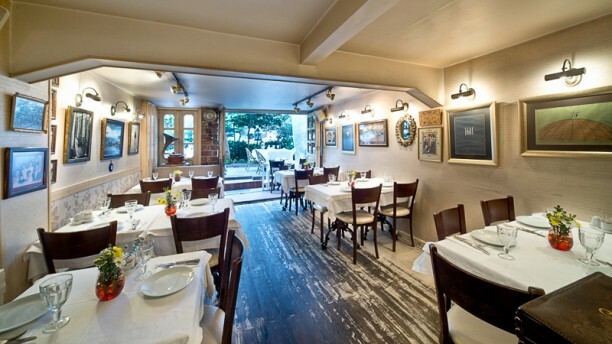 We put the fisherman Sabahattin in the category of fish restaurants in Istanbul's best restaurants list. In Cankurtaran, a building built in 1927, which Armada defends, serves with its sons. In the first three months of 2000, the restaurant, which has twice been the news story for The New York Times, is still very popular among tourists coming to my country. Sabahattin Bey is originally from Trilye and comes from a family who knows the sea, the fish and the respect of the fish very well. Cold mezenden middalı pilaf, hot grapes from lantern roasting specialties, really delicious. But your criteria for being an Aegean, please. If you have fresh fish related to the season, you can try it with peace of mind. All are cooked with care as it should be. Drinking, an average of 120-180 TL per person. Asitane Restaurant is located in the garden of the restored Ottoman mansion right next to the Kariye Museum in Edirnekapi. Periodically there are special meals such as Fatih Sultan Mehmet Era Dinners, Ottoman Palace Aphrodisiac Foods, Ottoman Palace Fish and Sea Foods. Acidane has been using the original recordings since 1991 to add more than 200 prescriptions to its archive, making the forgotten tastes immortal by cooking them every day. The restaurant's menu is pretty rich. At special times, iftar or festivals in the palace become tasting menus. It is extremely satisfying, of course, you can also choose from this menu option a la carte menu. The Akaretler is a magnificent pub serving Akali in an intermediate street as it goes to Nişantaşı. These pub hamburgers are the best in Istanbul. Akali, Cihan Kipchak and his brother Caglar Kipchak opened a hot pub in the neighborhood. Even when you write the taste of your burgers, you are diluting your mouth. Also the breakfasts are one of the best in Istanbul. Homemade jams brought from Marmaris with homemade jams and delicious homemade breads are served with a table appetizing. Atmosphere is very friendly, service is fast but maybe too crowded, just try your luck then. Once you decide how many grams you should have, you can choose which sauces you want and add. 80 gr-20 TL, 160 gr-25 TL, 240 gr-33TL, french fries 8,5 TL- you'll love it. We ate a Thai Singha next to it, so we went to the north and recommended it. Elbet Steakhouse is a warm place where you can eat the most delicious meats of Istanbul. The owner of the venue, Cüneyt Asan, is in love with his business and is doing it with great pleasure so the service offered is quite successful. Cem Yılmaz and Kıvanç Tatlıtuğ are also regularly visiting this restaurant. Starting from lokum, 56 TL. For steaks, T-bone, 400 gr price is 76 TL. The lamb meat price is 59 TL. The price of Tulum cheese salad is 16-22 TL. Certainly the burger is very tasty, the price is 26 TL. If you live nearby, you can order home. "In a globalizing world, we are on the way to seeing differences lead to riches, not distinctions," says Jash. They offer the forgotten flavors of Istanbul to their customers with the care they deserve. The restaurant serves Daik Miricanyan, his father-in-law, his mother and grandmother's recipe, accompanied by an accordion. We would like you to see Jash, who works in Cihangir and in Kinali Island, in a nostalgic environment, while enjoying the warmth of your home, you are enjoying the seaside smell in Kınalıada. If you are a large group you can call ahead and agree on the fix menu. Our indispensable tastes, topik, torikcakurası, mackerel stuffed, liver stew, potato mushroom, mackerel meat and tavern rice. Drinkers will approximately pay an average of 150 TL per person.